Jon is very knowledgeable about the Portland area and made the buying process so smooth and stress free. I felt comfortable asking the most elementary questions and Jon gave great, honest advice and recommended great contractors. We are so happy we worked with him! He found a lovely home for us, and made the process as easy and fun as possible. Justin is amazing. As first time home buyers we had TONS of questions and he patiently answered them all. If he didn't know the answer, he found out asap. I felt Justin was honest. He was very comfortable to be around; I didn't feel like we were pressured or talking to a "salesman" with the houses we saw. I'd highly recommend Justin to help folks find their next home. I can’t say enough about how simple the process felt on our end. We followed all the recommendations and any ideas they had about the house before it went on the market. Once it was on the market, it was clear they knew what they were talking about. We got an offer at asking price within 24 hours. The sales process from then on was very simple and stress-free! We followed their guidance through that as well. We couldn’t be happier with our choice if agent and company for selling first home and are extremely thankful for the Eisenhauer Team as well as all of Berkshire Hathaway as I work with several other of their agents to find our next home. You guys are all amazing and thank you for your knowledge and patience and for working so hard for us! Jessica and the entire Eisenhauer team were amazing to work with. Jessica was our real estate agent in the sale of our Vancouver house. She was the ultimate professional, and used all the modern technology and photography to get our house sold quickly. She sold our house in 6 days! We were extremely happy with everything she did! Cadence was very knowledgeable very helpful and available 24 hours a day. She was always willing to go look at property no matter how bad the weather and very helpful to find answers about something that we asked. I can’t say enough how pleased we are that Candance was our realtor. Professional Caring, Available and helpful. Because of her knowledge and experience, we were able to make our purchase and close in just over 30 days. We highly recommend Candance. Jessica was the most detailed, thorough and organized agent that I interviewed. She made managing the sell of my home seamless and easy as possible. She was always available and helped lining up contractors, while also scheduling them for me. The marketing materials and weekly reports were top notch and I always felt informed about how the market was shifting while the house was listed. It sold sooner than I had expected and Jessica always puts her client first and does what is best for them. I’m extremely grateful to the Eisenhauer Team for the easy and quick sell of my home. I Highly recommend working with Jessica. She did a fantastic job selling our home. She helped push through a very difficult deal. She takes amazing photos of your home with professional photography equipment. Jessica is very knowledgeable and professional. I was very happy to have Jessica on our team. Greg was amazing through the entire process!! He informed us of the progress between each step and gave helpful guidance regarding the negotiating and purchase agreement process. 100% great experience with Greg and jessica! From our first meeting we felt comfortable with them and they took the time to answer all my questions. We primarily dealt with Greg and he replied very quickly and is pretty funny too, he made the entire process from listing to SOLD so easy. We interviewed 3 companies and are glad we went with Berkshire and will use them again!! Jessica did a great job selling my house. She responded quickly to any messages I sent her and the advice she gave me was great. I would highly recommended Jessica to anyone selling their home. Jessica and her team sold us our house and then sold it for us as well. They are very knowledgeable and extremely friendly. They will work hard to help you understand the process and to get you the best deal possible. Highly recommend them. We contacted Ms. Paradis a few months before we arrived, so most communication was via telephone or email. Nevertheless, she was enormously helpful and informative. That continued after we arrived, and throughout the selection and settlement process. A true professional and a delight to work with. We cannot begin to fully explain how incredible Jessica and Greg are. They are THE BEST in the business. 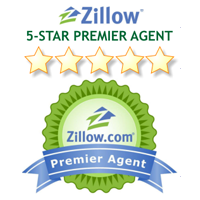 We have been through dozens of other agents over the years and no one compares. They sold our home in 5 days, saving our contingent deal on our next home. Their marketing is unlike anyone else. He did his homework and always came prepared with a route and appointments to show us the houses we requested to see. He responded to all of our questions, via text or phone call, always in a very timely manner. He was approachable, professional and knowledgeable and I can't recommend him enough! He's the first friend I made in my new hometown. Candice was amazing!!! Always helpful and would go out of her way to help us! She always stayed in touch and kept us informed every step of the way. We highly recommend her and we feel very lucky to have been able to work with her in our search for a house!! Justin Dolinger is the best around! We reached out to Justin to save our sale and he surpassed every single expectation we had. He mentioned something early in our first meeting and it was true until the keys were exchanged; “I’ll put myself in your shoes.” Justin is tremendously knowledgeable in the buy / sell procees and uses that experience to quickly address the hundreds of things that always seem come up at the eleventh hour. If you need confidence that your realtor is working to truly advertise your investment then Justin Dolinger is someone you should extend a call to today. This was my first home purchase, and Candace was very helpful, and patiently guided me through the entire process. She was always quick to respond to my inquiries, and was very up-front about everything. She is very knowledgeable. Highly recommend! We loved working with Candance. We felt comfortable with her. She was not high pressure. She encouraged us to procede as we felt ready. She helped us through all the things that we didn't understand and she negotiated well for us. Candance was perfect for us. As the move cross was a bit intimidating for us, she was patient and very helpful whatever and whenever needed. This as the 3rd time working with the Eisenhauer team and they helped us both buy and now sell this home. Semi busy street and location challenges. Took Greg's advice and replaced carpet and repainted. Built in 2006 so still pretty new home. Selling in a very hot Camas market ended up dropping price a few times combined 40k and giving up 8k at close which was a bit surprising. Buyer got a good home with some immediate equity. All in all was ok given the situation. Justin worked with us for 6 months, helping us find the ideal home. He was always very patient and understanding. He is very knowledgeable about the area(s) in which we were looking, very responsiveness to our calls or texts and also flexible when it came to showing us a home. He never pushed us or made us feel rushed. He understood the importance of the decision that we would be making, and at times would tell us that there was no rush so that we could really think it through. I highly recommend Justin! He’s the guy that everyone would want working with them and for them. Greg and the Eisenhauer team helped make the experience of selling our single family residence a good one. Their knowledge of the current real estate market trends for our area and data to back it up was invaluable. They made the process from listing to closing seem easy. Thank you Eisenhauer Team! The Eisenhauer team made listing and selling our home a breeze! Super knowledgeable team with great communication throughout process. I will be using the Eisenhauer team for any future buying or selling needs. Jessica and her team were great to work with. Such a great experience I would recommend them to everyone. She was always quick to respond to any questions or concerns I had. Candance has helped us sell and buy twice. She is the consummate professional and makes the experience a positive one. I highly recommend her as an established agent. Jessica arrived within 15 minutes of our call to see a House early on a Sarurday Morning!! The offer was in immediately, an inspector came within one day of calling, and the House closed within 5 days!!! Even though this was a cash deal, 5 days was above and beyond what we expected!! Absolutely the Best Realtor out there! Jessica and the Eisenhauer Team have helped my family sell our last 2 homes and I would definitely use them again! Their knowledge and expertise made what was a very stressful experience much easier to handle. Thank you! I would like to start off saying that Jon is an amazing broker. I have purchased and sold a handful of homes over the years and was so happy to find Jon when selling our home in Portland. His knowledge of the Portland area and all that it has to offer is 2nd to none. He was patient with all our questions and facilitated the sale of our home with ease. His friendly demeanor is comforting during the stressful time of buying or selling of a home. If you are looking for a broker, look no further and just give Jon a call. You won't be disappointed. Jessica was prepared and knew the market. The market changed very quickly and Jessica adjusted strategy based on the dynamic market. The process was smooth and her communication was solid. Jon made the home buying process very easy for me, a first time home buyer. He was patient and knowledgeable. Even months after closing Jon still was willing to answer my questions about the market, remodeling, title/deed information, etc. I would highly recommend Jon’s service to anyone looking to buy or sell a home! Amazing! Justin Dolinger was wonderful to work with. He is very professional, amazing with communication, hard working and very strategic. I highly recommend! Dacey helped us with a purchase of our home in Washougal, and everything went very smooth. We weren't local so she took care of arranging everything that needed to be done, was always prompt and professional. Her local knowledge and professionalism made it a pleasure to work with her. I'd recommend her to anyone looking for a competent, professional agent who is a joy to work with. Greg was friendly, knowledgeable and very responsive. We were relocating from out of the area and he worked around our schedule to show us homes, complete the inspection and pass along paperwork. Additionally, he answered all of our questions quickly. We would highly recommend him to friends in the future. Interviewed Jessica last year so when we called her this year she was ready and remembered all the details. We agreed on an asking price. The house went on the market Friday night we sold the house Saturday for full price. The closing took a little longer than we expected but Jessica Kept us informed until we closed. We would highly recommend Jessica she did a great job. Candance is outstanding. I confidently recommend her, as she brought professionalism and peace of mind to the entire buying experience. We had to deal with some of the most unconventional and bizarre communication from the sellers and sellers' agent, yet every step of the way, Candance was there to navigate the entire process. Texts, phone calls & emails daily...throughout the day and sometimes even late at night. She works tirelessly to move the process forward and stays closely in touch to keep you updated and as stress free as possible. When you choose to work with Candance, you are choosing to go through the home purchase process with confidence. She is absolutely fantastic as a professional and a person. Could not have been happier! The Eisenhauer Team helped us both sell our home & purchase a new one, in the process of downsizing. Jessica helped us with our sale - we had a offer over asking with rent back in 3 days. She was amazing, showing our house with a beautiful video. Becky helped with our purchase and was over the top. She spent many hours showing us homes until we found the right one, and then worked through the entire process with us, even after closing. They truly are a team, that has your back in the whole, sometimes crazy & confusing process of buying & selling. Highly recommend their services! Greg and Jessica were awesome! They were easy to work with and helped us get the most for our money. We felt like they always had our best interest in mind. We have already recommended them to friends. Candance came highly recommended by a realtor that my family has used for the last decade or so. When I first got started in the process, she was beyond helpful with taking the first steps in getting financed and she continued to work with me throughout that period. From there she was very knowledgeable on what homes I would qualify for and which to avoid. During the process, she was always available and right there to keep me motivated through the minor and major challenges that came along. When my original lender bailed on me, she had made contact with another lender immediately and had already prepped them on the situation, keeping me going forward with as little stress as possible. Her personal experience with home repair offered a lot of insight into some of the pros and cons of the home I purchased and she gave excellent suggestions based on the inspection that was done. Her knowledge of every aspect of the home buying and home ownership was invaluable. I felt sure that she had my best interest in mind and was always working for me. I would recommend her to anyone looking for a confident and reliable realtor that will be as motivated as you are in the purchase of your new home. Jessica and team were prepared and professional from the introduction phone call thru the last day of the sale. The preparedness for our introduction meeting was what will make you realize how much Jessica is a student of her market and craft. They go far and above on all aspects and happy to have sold fast, above asking and quick close. Cliche to say she made it seamless for our family, but indeed was seamless. Candance was the absolute best realtor we could have got. Being our first home purchase, she walked myself and my husband through everything, and was there for us every step of the way. She was very knowledgeable, patient and was always available to answer questions or concerns we had. She was very easy to work with, and never pushed us into a home. When we finally found the house we wanted, she negotiated our home for less than the listing price, and got closing costs paid for by the seller. Overall, Candance is a rockstar who is in this line of work because she loves people, not the paycheck. I highly recommend her to anyone purchasing a home! Candance showed us potential homes that met our needs and wish list, and gave us great advise that helped us get the house we wanted, even in the middle of a bidding war. I would definitely recommend her. My husband and I are a realtor's nightmare. We're bargain hunters, relentlessly pursuing the best deal, and to make matters worse, we're from the rural East Coast, so we had major sticker shock on home prices here. All that said... Jon was wonderful! He was kind, patient and informative. He held our hand through every step of the buying process, talking us down at high-stress moments. After we were under contract, during final negotiations, he went above and beyond to help two pretty stubborn parties (us and the seller) find a middle ground we could both live with. Jon really cares about the people he works with, and it shows in everything he does! Candi helped me submit an offer on a condo I had located on screened online listings. She patiently showed me other properties I requested, while knowing the first one we looked at was the best choice. Jessica was great to work with. Very responsive, knowledgeable about the market and pricing strategies, and professional. She and her team helped take any stress out of what can be a trying endeavor! Justin Dolinger is very professional knowledgeable, and pleasant to work with. We would have Justin help us again with anymore future real estate needs. This was our first time selling a house and we couldn’t have done it without the Eisenhauer team! They went above and beyond to help us through this daunting process from the very beginning all the way to closing. They were always available for any questions we had and always made us feel secure in our decisions. This team is top notch and we would recommend them to anyone! All I can say is, "Wow!" The Eisenhauer team works like a well oiled machine. We sold our home with Jessica Eisenhauer and bought our new home with Becky Vredenburg, and the process could not have been smoother. This is our fourth house purchase throughout the years, and Becky was by far the most professional real estate agent that we have met. And she's just a really good person in general. Becky was extremely knowledgeable about the area. She answered all our questions promptly (usually within a few minutes). And we had tons of questions throughout the process, and she always made us feel like we were her top priority. We never once felt rushed into a decision with Becky. She was very patient and genuinely seemed to care that we were happy with our purchase. And I can't even count all the times Becky went above and beyond her job and our expectations during the buying process. When we finally decided on a home, she even went back after the initial walkthrough with her laptop to test internet speeds, because she knew that we were curious about it. Then she researched other provider options, so we would know what our options were. And that is just one small example out of many. We honestly cannot say enough good things about her! If you are looking to buy a house, go with Becky Vredenburg. You will not be sorry. We have bought and sold a number of homes throughout the years, and the Eisenhauer team are in a league of their own. Jessica Eisenhauer helped us sell our house, and Becky Vredenburg helped us buy our new one at the same time, and it all went seamlessly. Within only a few days of deciding to sell our home, there was a sign in our yard, an open house was scheduled for the next weekend, a professional photographer had taken beautiful photos of our house (along with a 3D walkthrough), and those photos were posted with our listing on every real estate site you can think of. Jessica was "on it!" Jessica knew the market well, and was spot on with what she thought ours would sell for. She answered all our questions promptly, and never seemed too busy for us. I have two good friends that are currently trying to sell their homes with other realtors. I hear their many complaints, and I just feel so, so lucky that we found Jessica and her team. I just can't say enough about the quality of service they provide, and they also had the best rates that I was able to find when researching potential realtors! I honestly can't think of a reason to go with anyone else to sell your home. I'd recommend Jessica and her team in a heartbeat.